You might be longing for the summer to hurry back, but don’t overlook the spectacle of winter! Toasty marshmallow hot chocolates, warming mulled wine, rich stews and dumplings, these things need a refreshing nip of frost in the air to feel truly magical. With so many winter events and Christmas markets popping up across the UK, you can have a memorable winter staycation right here at home! Join us as we explore the best of the best! According to a public vote, Edinburgh’s Christmas Market was the best in the UK last year! Even the most hardened of Scrooges can’t help but warm up to the multitude of food and drinks stalls. Plus, the beautiful range of local and homemade gifts are sure to light up anyone’s Christmas Day. You’ll find so much to do here, and it’s not just at the market stalls. You certainly won’t get bored as Edinburgh sets out an exciting array of rides, such as the Forth 1 Big Wheel and the Star Flyer! And, of course, Santa will be visiting the market when Santa’s Grotto opens from 10:30am on 17th November. Expecting everyone to be sound asleep at Edinburgh Zoo this winter? You might be surprised to see a few new ‘animals’ staying at the zoo, with unicorns and the centaur-like Nuckelavee taking up residence! Alongside many other myths and legends, they’ll light your way along the route as you explore the Giant Lanterns of China! There’re over 450 handmade Chinese lanterns glowing through the route. Plus, you can stay warm and toasty as you go through, with a marketplace on offer serving hot drinks and snacks. There’s a great hotel conveniently near Edinburgh Waverly Station called the Cairn Hotel. It’s just a ten minute walk from the hotel to Princes Street Gardens, where the Christmas Markets are held, and less than a 20 minute drive to Edinburgh Zoo. With free Wi-Fi in all rooms, you’ll be able to upload all your photos of the gorgeous Giant Lanterns and the festive Christmas Markets. White-walkers won’t be a worry in winter here in Belfast. Whether you’re an avid fan of the world-engrossing Game of Thrones series, or you just want to see some the most spectacular and beautiful sights Belfast has to offer, you can’t miss the Game of Thrones Tours. Belfast Winterfell Locations Trek — If you’re a loyal follower of the King in the North, then this route is for you. You’ll see sets and settings for scenes from Robb’s Camp to the fateful spot where the Starks found their Direwolf Pups. With Belfast City Hall overlooking it, the city’s Christmas market is a wonderful offering this winter. The outdoor food court means you can sit down for a while and relish in some of the best foods of the continent, from speciality cheeses to a hog roast! Plus, Santa’s got a busy schedule this year, as he’ll be hosting a Santa’s Grotto in Belfast as well as Edinburgh. You’ll be warm and entertained at Jury’s Inn, thanks to free Wi-Fi and Freeview services available. Plus, if you’re heading out for the Game of Thrones Tours, the coach arrives outside this hotel at 8:15am. 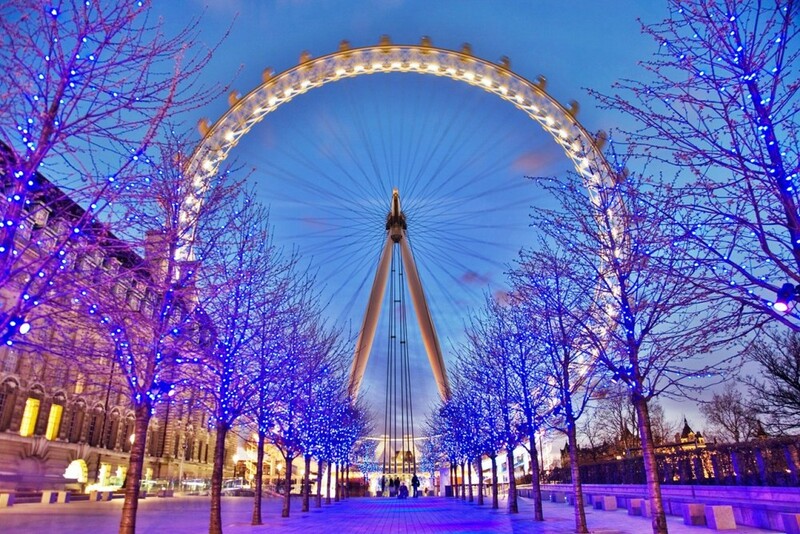 The Christmas markets are just a five minute walk away too, so you’re in the best position for seeing all the sights! Christmas can certainly be quite overwhelming for people. If your idea of a Christmas staycation is to stay away from the loud noises and crowds of people, why not seek refuge in one of the many amazing forests in the UK? Book a quiet, cosy cabin in the woods and get away from all the noise and ruckus. Stroll through the winter morning in a lush forest, and unwind with a Christmas dinner without sweating in the kitchen. Forest Holidays even offers a real Christmas tree with lights in your cabin if you stay over the Christmas period, between 21st-31st December, complete with a decoration crafting kit. Plus, you’ll find all the entertainment of the busy city within the quiet getaway of the forest, with a visit from Santa and carollers. With any winter destination you choose you will need a reliable method of transport to get you there! Lookers offer car service plans which are a necessity when travelling long-distances.